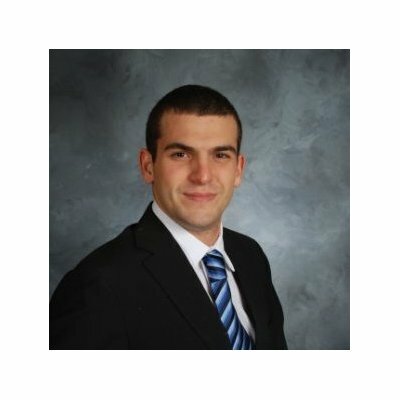 At LinkedIn, we know how integral hiring managers are to the hiring process - whether it is defining the characteristics of the ideal candidate during an intake call, or providing feedback on top prospects. And the more a recruiter knows about the type of talent the hiring manager is looking for, the faster they can hire the candidate with the right skill set. To encourage collaboration between sourcers/recruiters and hiring managers, we offer our customers 20 free Hiring Manager seats for each Recruiter seat. With our most recent enhancement, recruiters can now seamlessly share projects with hiring managers or ask for a review of an individual profile. 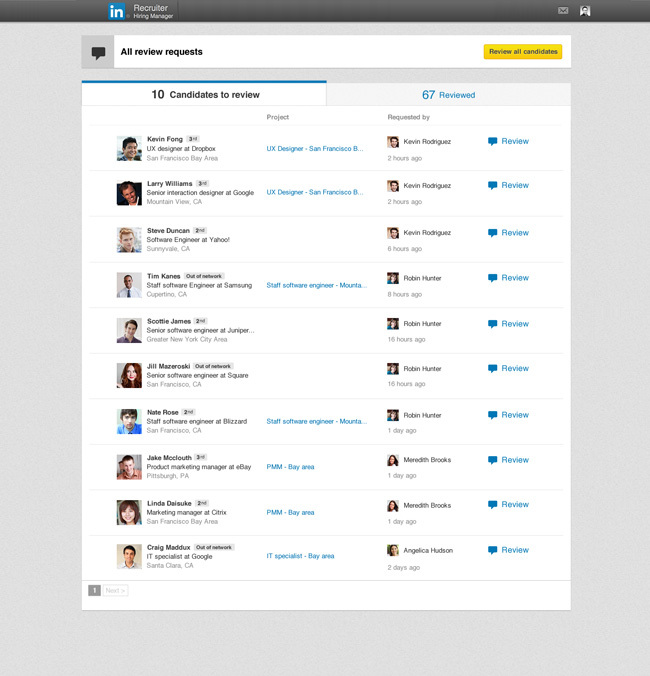 The new sharing experience displays hiring managers who you’ve shared a profile or project with, and a type-ahead that conveniently displays your recruiting team, your connections, and the rest of LinkedIn for you to easily find your hiring manager among millions of LinkedIn members. Hiring managers can manage and access these projects through their Hiring Manager seat, which serves as hub for the shared projects. 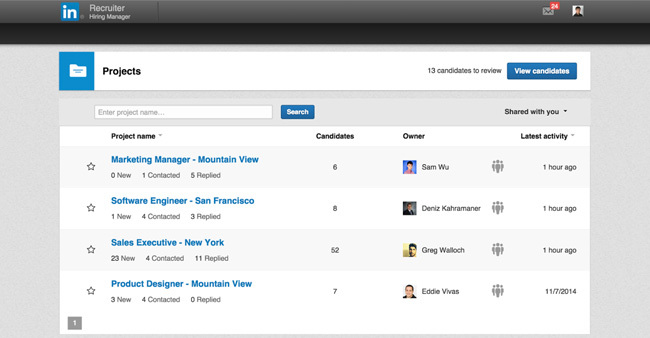 Like before, recruiters can share individual candidate profiles with a hiring manager for their feedback. 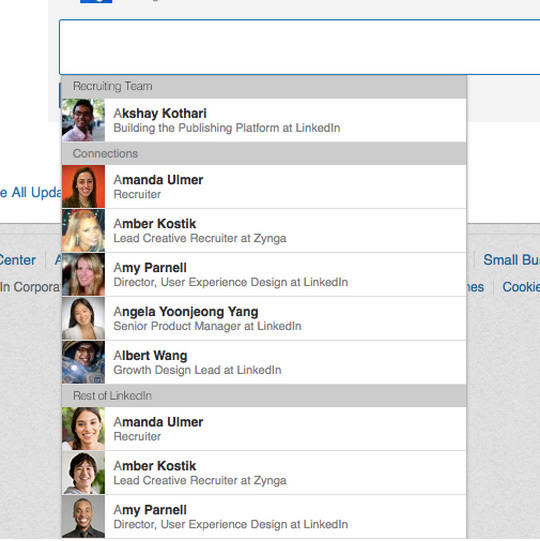 And, if you want to customize the feedback verbiage options, you can do that from the Recruiter Admin page. With the refresh of the hiring manager home page, reviewers can easily see all outstanding reviews they must complete, as well as take a look at candidates they’ve previously reviewed. 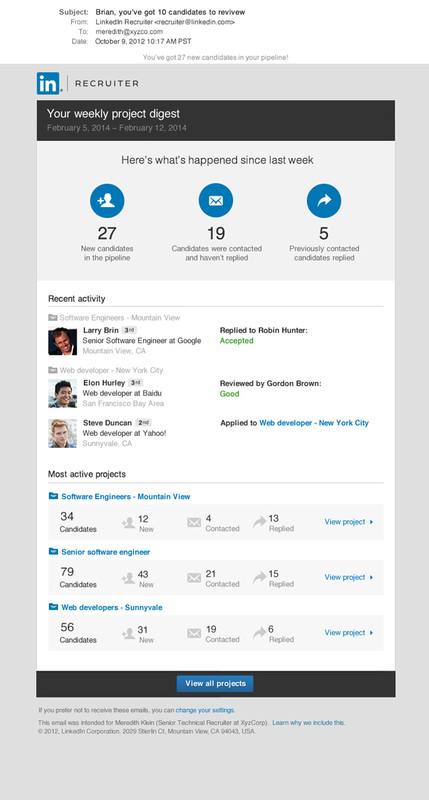 Earlier this year, we redesigned the way member profiles look in Recruiter to allow you to more easily identify top prospects and manage your workflow. We’ve since updated the profile for hiring managers as well, so that they can quickly navigate between profiles and review them in a queue, just like a convenient to-do list. 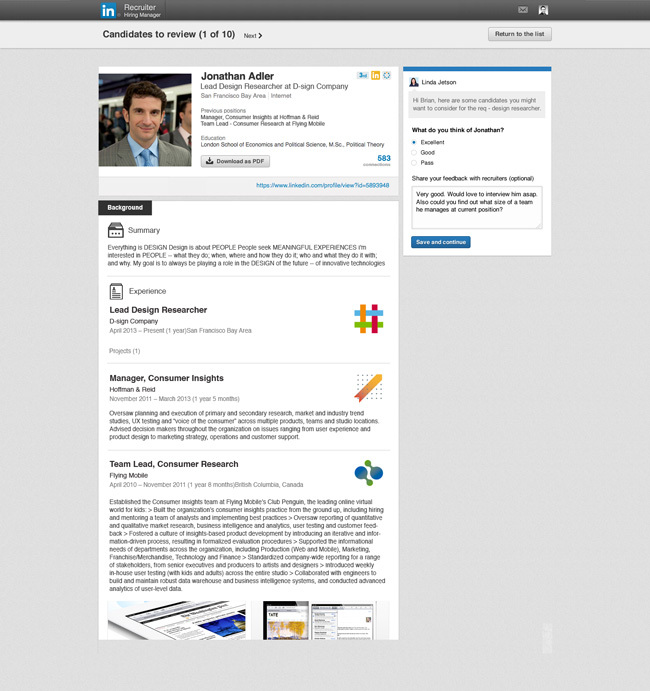 These profile pages present a more complete picture of the prospects than before and allow your hiring manager to transition between profiles after each review is completed. In order for hiring managers to stay up to date on recruiting projects, they can now opt to receive regular email updates that highlight important activity and outstanding to-do items. During a controlled launch of these enhancements to a select set of customers, we observed a 60% increase in the number of profiles reviewed by hiring managers compared to those without these upgrades. Users with the new features shared twice as many projects with hiring managers, and in turn the hiring managers viewed three times as many profiles in projects - all translating into a noticeable reduction in time to hire. To take advantage of this increased engagement, use one of those 20 free Hiring Manager seats for your reviewer and start collaborating.